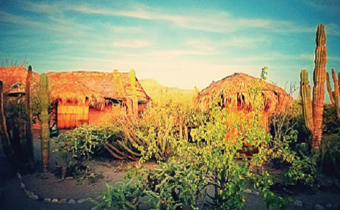 La Duna, a peaceful Ecology Center in Baja California Sur MX! 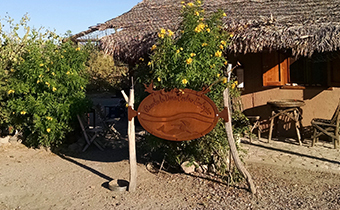 Our mission is to be a peaceful gathering place in Nature devoted to integrative wellness and conservation, where people offer and receive educational experiences that are inspiring and transformational. We believe that as people feel more connected to Nature and to each other through direct experience, a sense of belonging and care develops naturally. 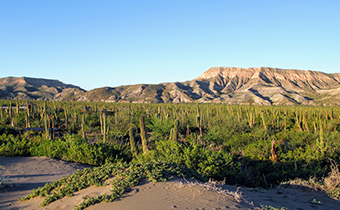 La Duna is immersed in an old majestic cacti forest, the immutable sentinels of the desert! Multicolored mountains at her back open to the blue horizon of sky and sea. We collaborate with local families, non-profits and businesses to provide a unique recreation and educational destination that offers the beauty of expansive horizons, quiet walks, and sunny days! Clear starry skies and the moonlight magic will amaze you! Incredible sunrises! 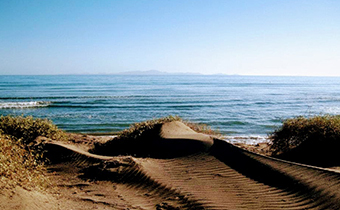 The best way to start your day, meditating on the placid dunes. 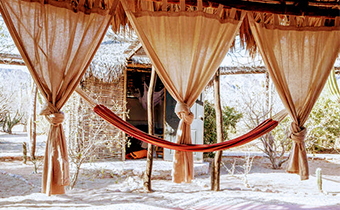 Nature will lead your experience here, as you relax and allow it to touch you deeply. 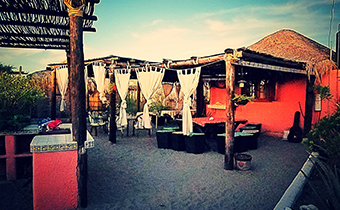 La Duna is located in one of the Gulf of California's most beautiful coastal landscapes, just 40 minutes North of the city of La Paz, on the coastline bordering the Bay. We are close to the city but secluded enough to enjoy a star laced night sky, the undisturbed view of whale dwelling islands, and multicolored ancient mountains. 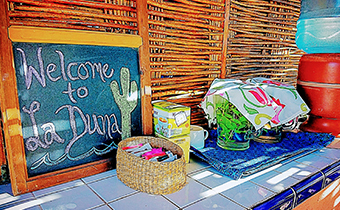 La Duna was designed to showcase the local ecology and culture of Mexico. We strive to provide an environment of peace and simplicity, incorporating the creative participation of the local community, and using sustainable technologies to supply our needs. We are off grid! 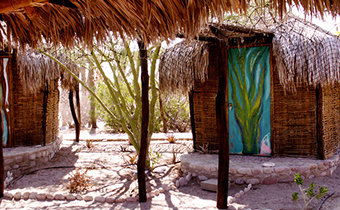 100% of our electricity is from the solar panels on site and it is provided from 7 am to 10 pm in the main areas (main palapa, kitchen, bathrooms, dining room and kitchen). 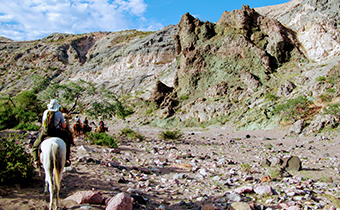 Transportation Airport transfers from La Paz airport or city are included at specific times ONLY either way. For transfers from Los Cabos Airport (SJD), we can help you organize a shuttle pickup for your group for an additional cost. More info about transfers and HOW TO GET HERE! 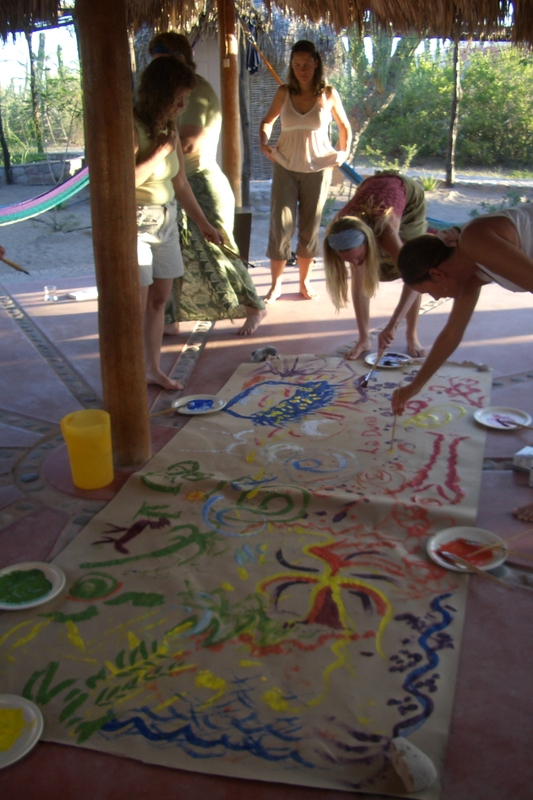 We can also help you arrange: nature tours, spa services and cultural activities!